Big Bear Real Estate Blog: Market Rising in Fall? November 2013 Market Update: Thanks for checking in with us on the Big Bear real estate market. With Halloween behind us and Thanksgiving fast approaching, let’s take a look at what occurred in October and what that says about how 2013 might end up. Posted in 2013 Posts on November 8, 2013 by Mike Sannes. October 2013 Market Update: The change of seasons is in full swing here in Big Bear. With a fresh few inches of snow on the ground this morning and Halloween fast approaching, fall is in effect and winter doesn't feel far off. Posted in 2013 Posts on October 30, 2013 by Mike Sannes. Big Bear Real Estate Blog: Ready to Appreciate? September 2013 Market Update: With the last few weeks of the 3rd quarter upon us, let’s check in on the how the Big Bear real estate market has fared over the summer. Posted in 2013 Posts on September 16, 2013 by Mike Sannes. Big Bear Real Estate Blog: Market Cooling Off? August 2013 Market Update: As we head into the last weeks of summer here in Big Bear, the nights have definitely been getting cooler, but has the Big Bear real estate market been cooling off as well? Thanks for checking in with us on the state of the real estate market in Big Bear. We are happy to help and always look forward to hearing from you, so do let us know if you have any questions on the market or are interested in buying or selling real estate here in Big Bear. Posted in 2013 Posts on August 28, 2013 by Mike Sannes. July 2013 Market Update: Thanks for checking in with us on the Big Bear real estate market – Lots to cover, so let’s dive right in: The real estate market in Big Bear showed significant progress in the first half of 2013. The recovery we have been tracking has solidified. The rebound in number of sales persists and price appreciation is underway. As compared to the first half of 2012, this year (January - June) saw a solid 17.8% increase in the number of residential sales. Interesting to note: Of what sold 13% were foreclosures, 10% were short sales and 75% were ‘regular’ resale. 30% of all those sales were cash transactions. 65% of all those sales happened under $250,000, whereas 27% sold between $250,000 and $500,000. 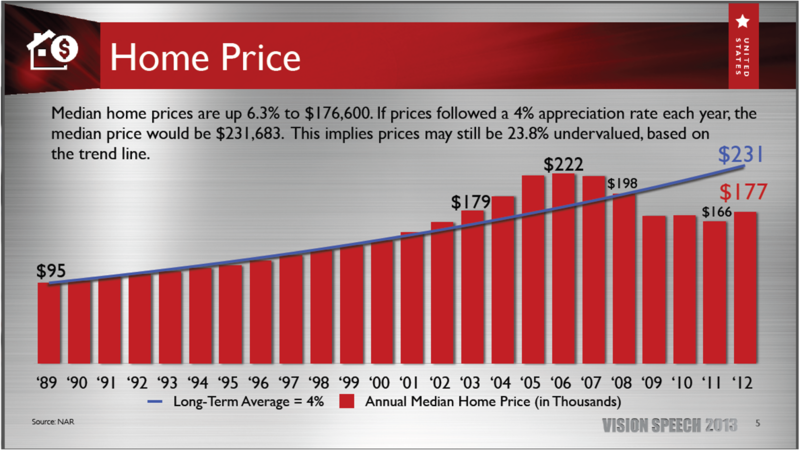 The number of sales in this $250,000 to $500,000 price range increased 63% from last year! It is encouraging, and a healthy sign for the market overall, to see demand for higher-priced homes increasing at such a substantial rate. Posted in 2013 Posts on July 24, 2013 by Mike Sannes. Posted in 2013 Posts on June 5, 2013 by Mike Sannes. Posted in 2013 Posts on May 21, 2013 by Mike Sannes. Spring has officially sprung and tax time is thankfully behind us for another year. The weather here in Big Bear has been outstanding and, having tested it myself yesterday, I am happy to report that, although still chilly, the lake is indeed ready to enjoy. Thanks for checking in with us on the Big Bear real estate market. Let’s get right to it and see how the first quarter of 2013 shaped up and what that indicates as we head into the summer selling season. Posted in 2013 Posts on May 1, 2013 by Mike Sannes. February 2013 saw 75 closed residential sales, up 9% from February 2012. Year to date, compared to last year, we are up a substantial 25% in number of homes sold. Sales in the hot “under $250K” price range were relatively flat last month (52 in February 2013 vs. 50 in 2012). However, in the price range between $250k and $500k there was a 36% increase and between $500k and $750k there was a whopping 100% increase, so demand seems to gradually be spreading into the higher price ranges. Of what sold through February this year, resales made up 70% of the closings whereas 16.5% were foreclosures and 12.5% were short sales. 27% of these sales were cash deals. Posted in 2013 Posts on March 14, 2013 by Mike Sannes.